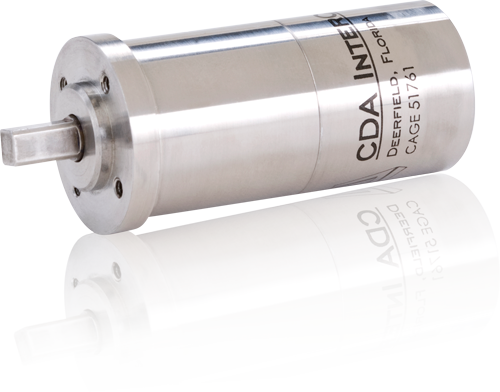 CDA's stepper motors provide an incremental step output depending on the excitation logic applied to the motor windings. These stepper motors provide high running torque capacity per unit weight and size. Their high performance and excellent stepping accuracy make these components ideal in open loop positioning systems, incremental rate control systems, or limited angle rotary switched. Samarium combalt rare earth magnets, high grade stainless steel construction, and class H225 insulation system assure rugged, reliable performance under the most severe operating conditions.